October, Fairfield Lake State Park, Texas Biannually, in the spring and fall, Cadets and Senior Members head to Fairfield Lake State Park, two hours south of Dallas, for a weekend to receive Emergency Services training. 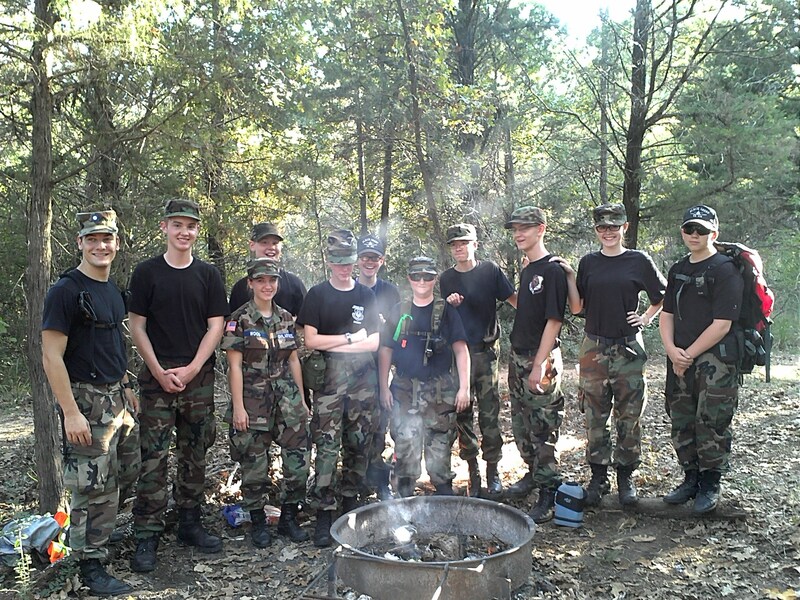 Fall, 2014, eleven Cadets and nine Senior Members from Black Sheep Composite Squadron, Dallas Composite Squadron, and Red Oak, participated in the event led by Black Sheep Composite Squadron of Mesquite, TX-214. Capt Jerry Barron, Commander, began the weekend with a Safety Briefing followed by a hike to the camp site. Saturday morning after breakfast, Cadets and Senior Members contributed time towards community service by removing debris from around the lake. The group was rewarded for their efforts with an archery class taught by Park Ranger, Mr. Tim King. After lunch, Emergency Service Ground Team training commenced. Ground Team training included lessons in First Aid taught by Commander Capt Jerry Barron, compass/orienteering led by Chaplain Smalley, and man tracking using line search taught by Lt James Moye and Lt Lynn Middleton. Capt Opal McKinney conducted Emergency Locator Beacon training. To wrap up the weekend, a night time real world search and rescue exercise was executed, putting to the test what the cadets learned. The search and rescue exercise is dubbed “Rescue 51”. Cadets and Senior Members searched for “Kevin”, a lost boy mannequin. “Kevin” was found and rescued in the woods by searching for clues and using latitude and longitude coordinates!